Try the free SEO Analysis! In just a few clicks, you can perform a comprehensive SEO test online to assess whether your site meets the requirements of search engines such as Google and Bing. In doing so, you receive the vital data you need to inform the next steps of the optimization process. What exactly does the SEO Checker test for? How does the SEO Checker work? Looking for more assistance with online marketing? With an SEO analysis report from 1&1 IONOS, you get quick and easy access to all the important facts relating to your website's visibility on search engines like Google and Bing. 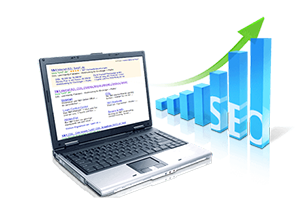 Ranking highly on search engine results pages (SERPs) is crucial to the success of your website. Since it focuses on achieving higher rankings organically, rather than paying for advertising, search engine optimization has become one of the most important disciplines in modern online marketing. Our site SEO ranking checker immediately shows you where your website is placed, and reveals areas that require further optimization. After receiving your site SEO analysis, you will be well-placed to make all the adjustments necessary for your website to climb the search engine rankings and be more easily found by your target audience. What is a good onpage score? Heading or header tags are HTML elements used on a webpage, which are also highly important for search engine rankings. They are distinguished in order of descending importance, from the main SEO title h1, to subheadings h2 to h6. Heading tags essentially enable the naming and structuring of different sections of content. For SEO, h1 tags at the start of HTML documents are most important because they contain keywords that immediately show both users and crawlers what the content is about. When they are clearly written and contain highly relevant keywords, heading tags serve as positive SEO signals. They ought to be as short, succinct and informative as possible. From 1&1 IONOS's SEO site checkup, you can find out how your heading tags fare from a search engine perspective, and where there is room for improvement. Is there a difference between analyzing desktop, smartphone, and tablet display formats?